Enhances the Air. A unique fragrance of aromatic Lavender essence, herbal notes rounded off with gentle Chamomile and precious woods. 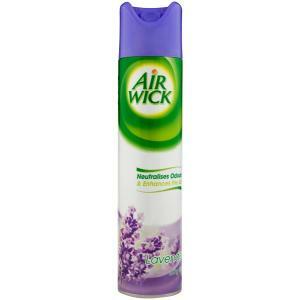 Air Wick aerosols act in seconds to neutralise unpleasant odours, enhancing every room of your home for up to 1 hour*. *Based on test conducted at 22¡C in an enclosed room.